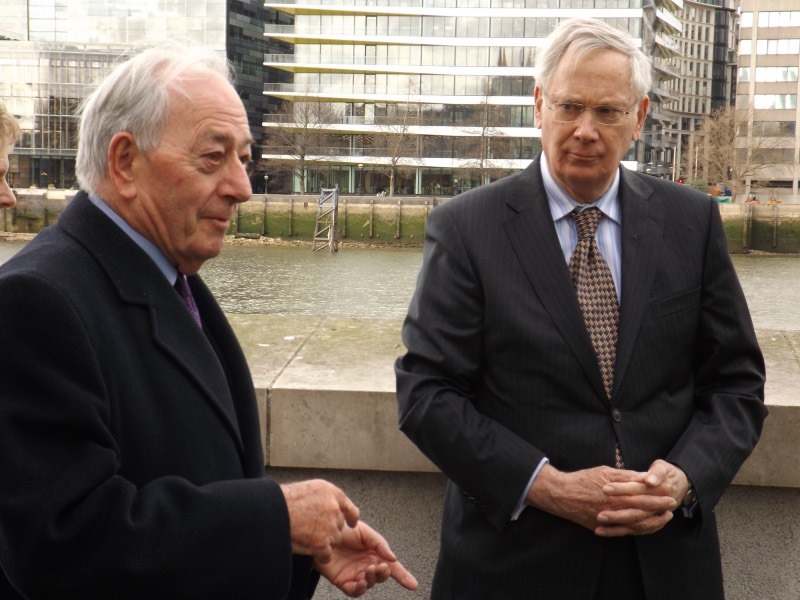 The Duke of Gloucester has unveiled a river view interpretation panel outside Southwark Cathedral to mark the 40th Anniversary of the Jubilee Walkway. The Queen inaugurated the Silver Jubilee Walkway during her 1977 Silver Jubilee year. The route has been known as just the Jubilee Walkway since Her Majesty’s Golden Jubilee. The 1977 route follows the present Thames Path, which dates from 1996, between Tower Bridge and Westminster Bridge. 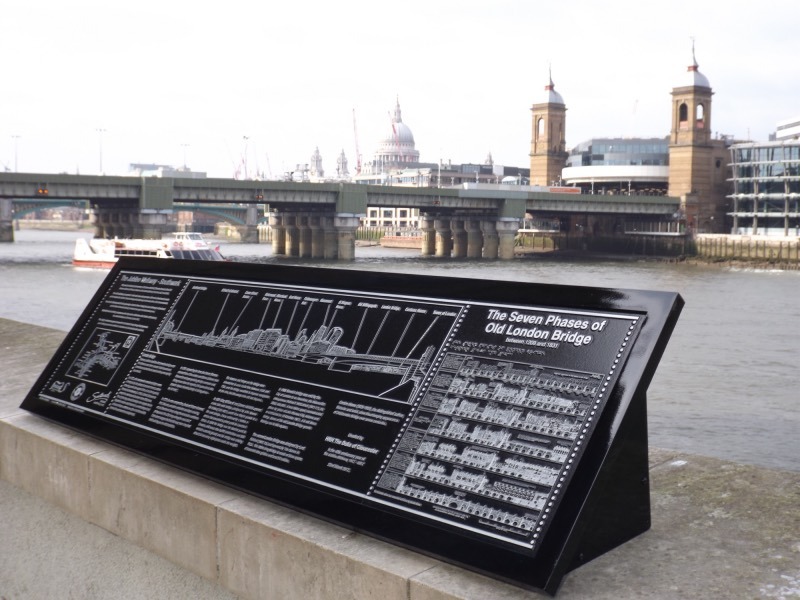 The highlight of the interpretation panel, depicting the river view from Cathedral Square, is a reproduction of the seven phases of London Bridge from 1209 to 1831 drawn by Gordon Home. This first appeared in Gordon Home’s book Old London Bridge published in 1931. Gordon’s son Gospatric Home was present with a copy of the book. The panel is dedicated to Sir James Swaffield who in 1977 was both Greater London Council director general and Chairman of the Jubilee Walkway Trust. His three children and a grandson were also present. Reports with more pictures can be seen on the London SE1 website and The Outdoor Trust website. 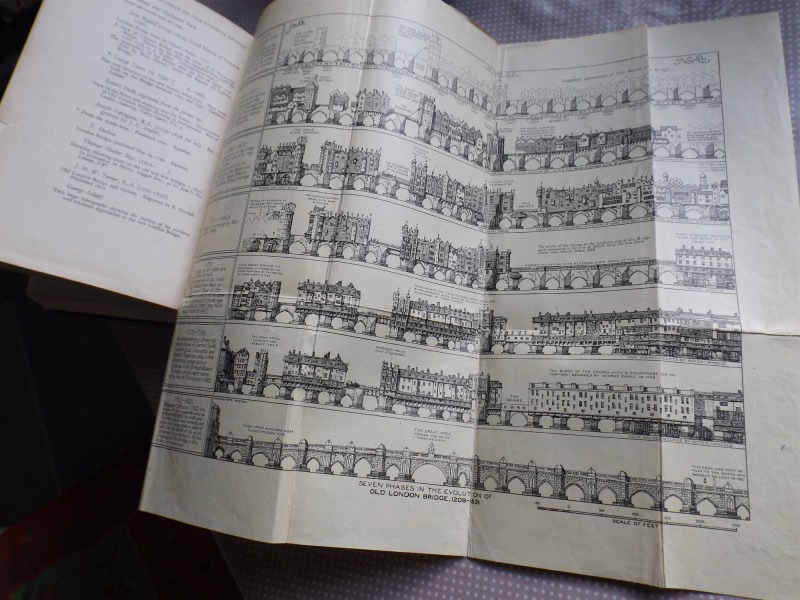 The original bridges fold out drawing in Old London Bridge.